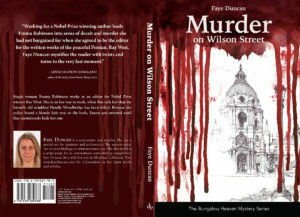 Murder on Wilson Street available now! Murder on Wilson Street from my series The Bungalow Heaven Mystery series, is available now on kindle and paperback. © 2019 Faye Duncan. Theme by Anders Norén.